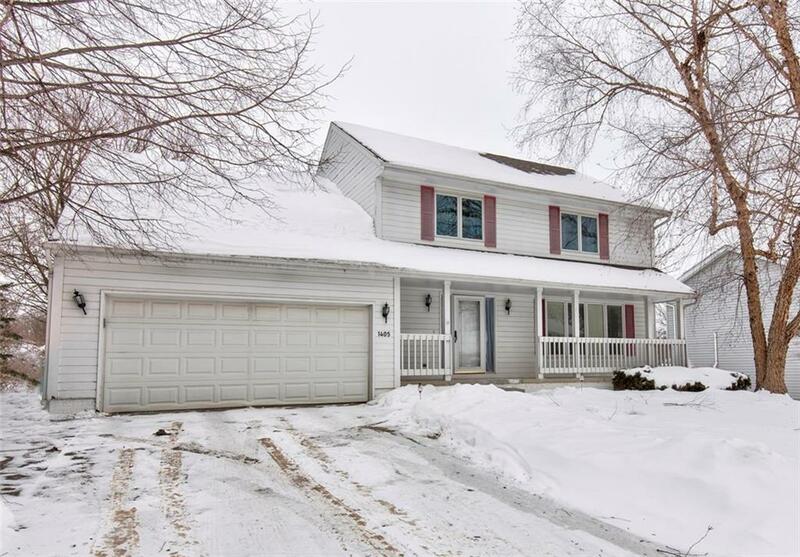 Nearly 2700 sq ft finish in this excellent 5 bedroom 3.5 bath two story home on Indianola's North side. Main level boasts a large living room with vaulted ceiling and fireplace. It leads to the dining area and open kitchen, featuring a convenient island and 2 pantries. Through the sliders, find the very large deck and fenced back yard. Finishing off the main level is a half bath and very useful flex room - great for an office, play room or formal dining room. Upstairs, the master suite enjoys a private bath and walk-in closet. There are 4 other bedrooms on this floor, one with an enormous walk-in closet. There is even more finish down stairs with a living room and office space/play area along with a 3/4 bath. Fenced yard and great outdoor spaces from full front porch to massive back deck. This quiet neighborhood is walking distance to parks & Simpson College, yet quick access to YMCA, medical services, restaurants & shopping.